Does the beginning of another school year make you fondly recall your favorite subject? If your favorite subject was art then New York City's Museum of Modern Art (MOMA) may rekindle that passion with seven available online courses. Ranging from multi-media creations, experimenting with collage, through to modern and contemporary art, MOMA courses will allow you to connect with fellow art lovers on an inspiring journey while learning at your own pace. 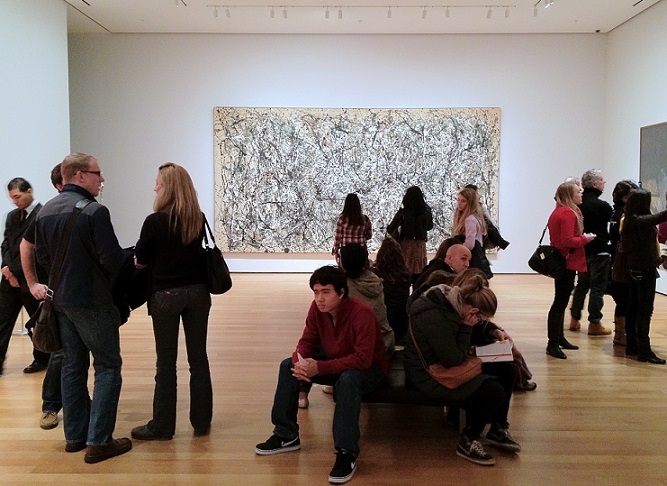 MOMA Courses Online is broken down into two streams depending on your needs and time constraints. Self-guided courses begin at $99 with instructor-led courses topping out at $350. Both course streams offer the same core materials but instructor-led courses provide students with weekly feedback from instructors and interaction among fellow students. Each course includes hours of video shot from within MOMA galleries along with interviews from expert curators and conservators. The courses offer a unique alternative for non-New Yorkers to visit one of America's great museums...without the hassle of air fare or hotels from the comfort of your own living room. At your own pace. Registration is now open for instructor-led courses beginning October 1, 2014. Self-guided courses are available 24/7 and can begin immediately.